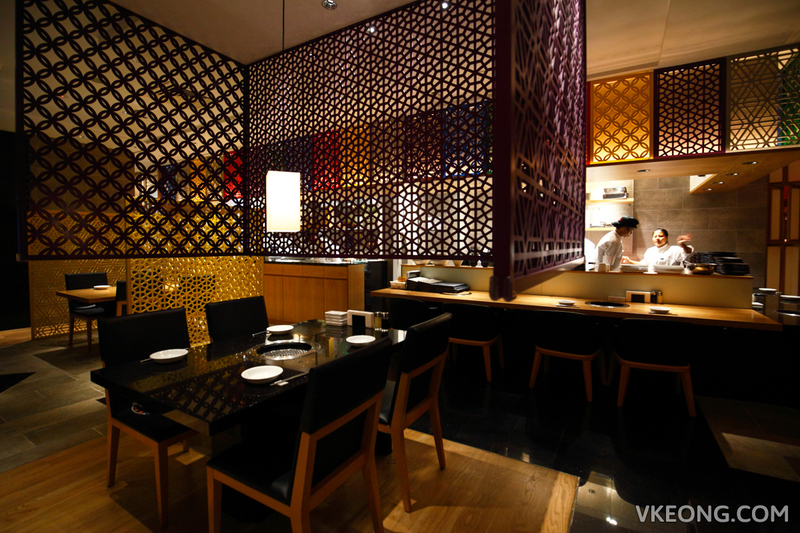 At Yakiniku Toraji, you can expect to savor some of the most revered beef in the world. The highly prized A5 Wagyu from Kagoshima is the hallmark of the restaurant at a respectable price of RM500 per 200g strip loin. 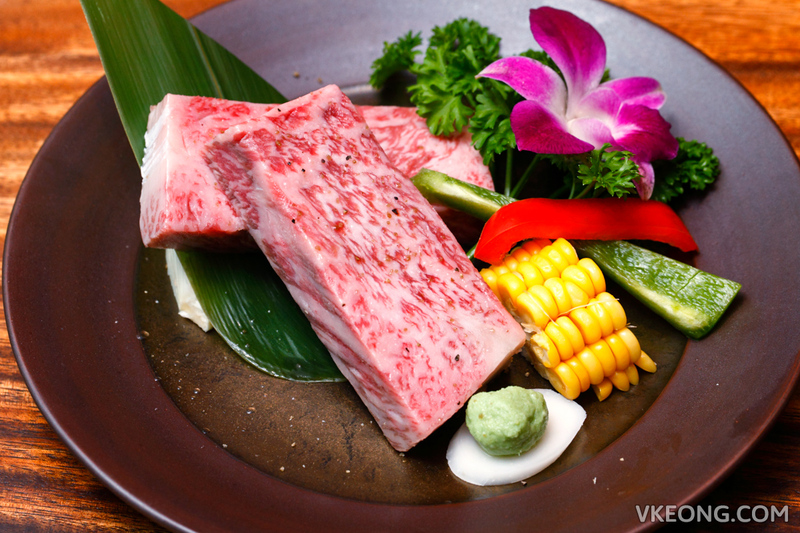 According to the Japanese beef grading system, A5 is the highest possible grade that’s only given to the finest beef which has excellent marbling, meat color, texture and fat quality. You can immediately tell its difference from the regular strip loin by comparing the amount of inter-muscular fat. 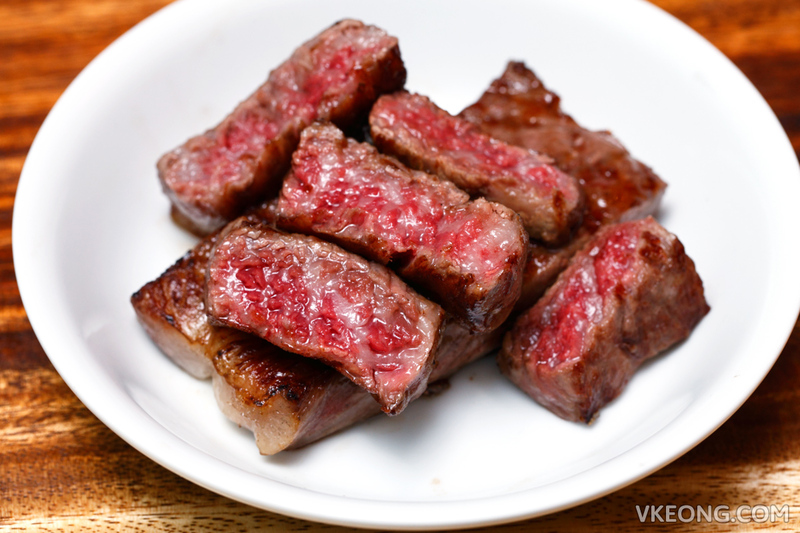 This is the main quality that gives wagyu meat its uniquely rich, buttery flavor and melt in your mouth texture. 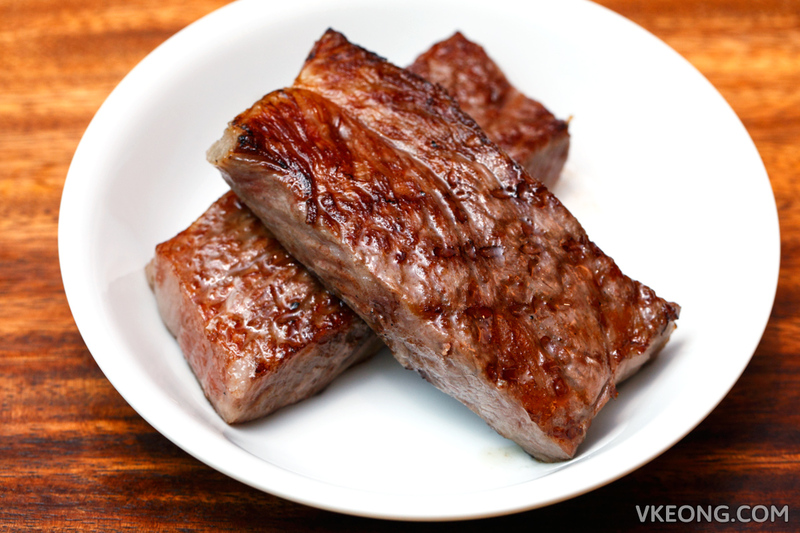 If you are adventurous enough, you can actually eat it raw by slicing the meat thinly and serve with rice. Otherwise, you can stick to grilling and enjoy simply with salt and pepper to accentuate its natural flavor. 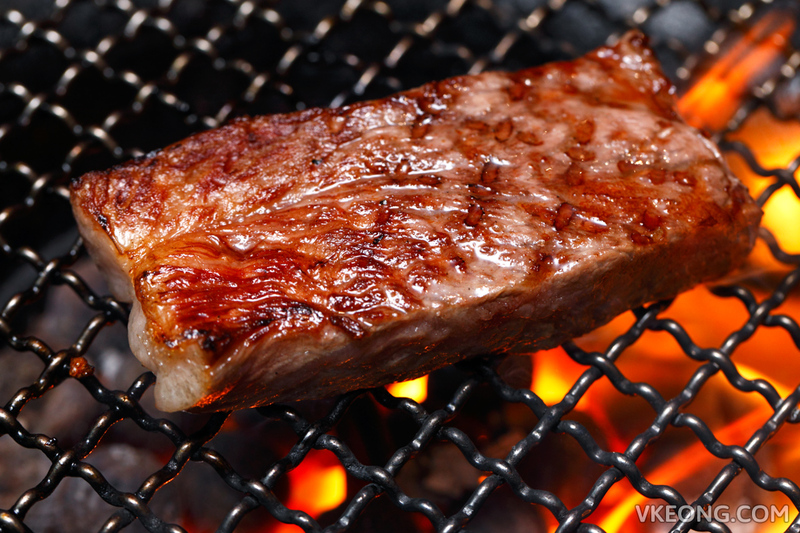 Although you might be tempted to cook it rare, medium-rare or medium is the recommended temperature, as wagyu meat is at its juiciest state when the fat in the center are melted as well. The top and bottom side of the steak require 30 seconds (max) on the grill, while it’s another few seconds for the sides. As the meat cooks, the fat dripping from the meat causes flame to leap up and help form a beautiful crust on the steak. It was truly a beautiful sight to behold. As usual, let the meat rest for a few minutes before slicing and you won’t see pool of juices on the plate. Now all it needs is a tiny dip of sea salt and you are in beef heaven. While it is undeniable that wagyu beef is a premium meat that is guaranteed to give you an unforgettable experience, it might not appeal to those who prefer a little chew on their meat. The intense amount of marbling in wagyu means the fatty meat will melt away in your mouth before you even get a chance to chew, especially when it’s an A5. So if you like a wonderfully rich and deep flavored cut that you can chew and savor, the Black Angus beef tongue, kalbi or harami will probably be a better choice. For that, check out their Premium Course, which I was told has been improved to include more meat but at the same price. 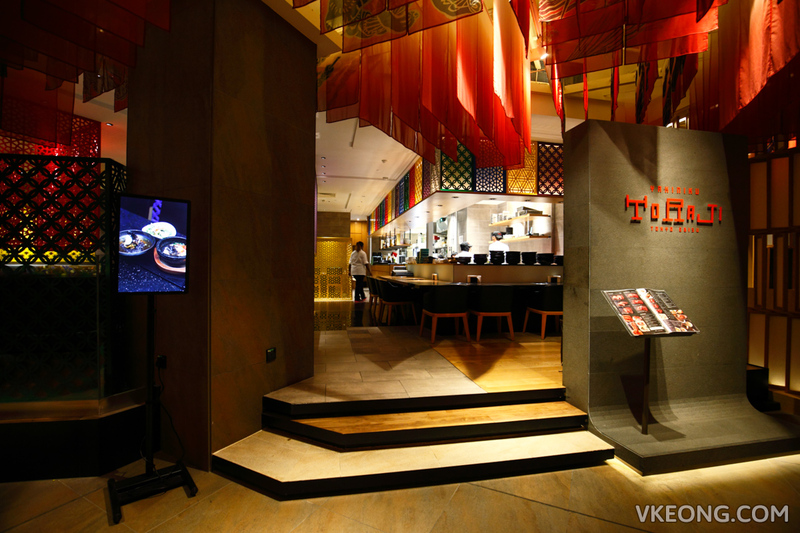 The post Kagoshima A5 Wagyu @ Yakiniku Toraji, KL appeared first on Malaysia Food & Travel Blog.